I forgot my login username or password, how do I reset it? 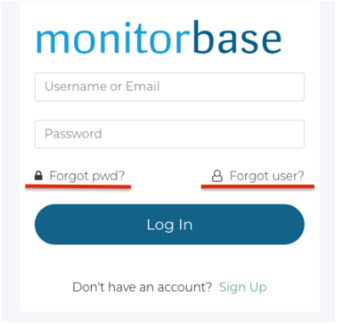 If you can’t remember or don’t know your username or password for you MonitorBase Account, no worries! From the MonitorBase homepage click on the “Login” button in the top right corner of the site.